In case if you wanted to stop by our booth at Canadian Manufacturing Technology Show (Mississauga, Sep 28 – Oct 01), please be advised that its location has just been changed by the organizers. 6% off to celebrate my 6th anniversary in Canada. Act within 6 weeks! This week my wife and I are celebrating the 6th anniversary of our arrival to Canada. It is somewhat unbelievable that six years ago we stepped out of the airplane into the new country without knowing any single person here. I wanted to share this exciting moment and the pride to be Canadian with you. 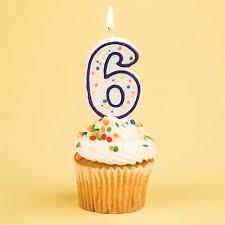 In celebration of our 6th anniversary we offer 6% off our service fees if we start working on your new application within next 6 weeks. Yes, one percent off for each year we were blessed to live in this beautiful country. Recently I was invited to give an interview to one of Canadian radio stations Megapolis regarding the Government funding for Canadian businesses. It was recorded on August 30, 2015 and it was in the Russian language. The recording is here. If you don’t speak Russian 🙂 I welcome you to meet and ask your questions regarding Government grants and loans at the Canadian Manufacturing Technology Show (CMTS) on September 28 – October 1 in Mississauga, where Fair Grant Writing will exhibit at the booth 1913.